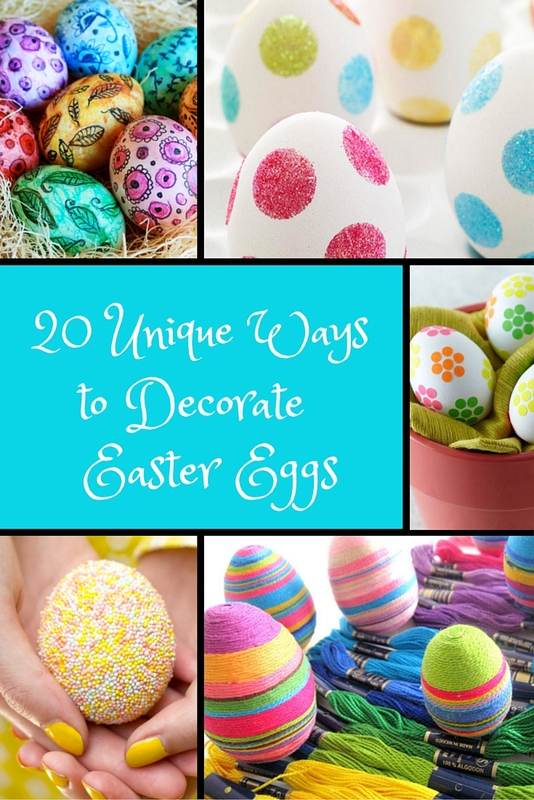 Put away the vinegar and dye and try one of these twenty unique ways to decorate Easter eggs! 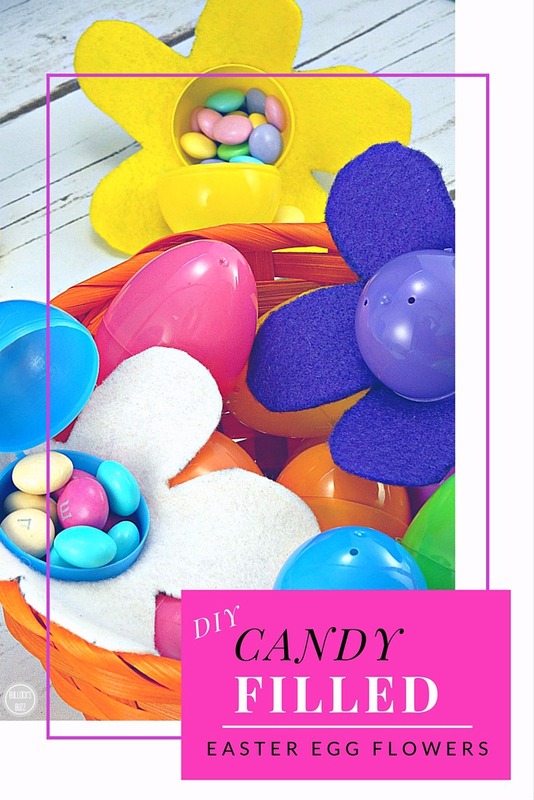 I love trying new Easter Egg decorating ideas, and this year I decided to go an Easter Egg hunt to find some of the cutest and coolest ways to decorate Easter Eggs. 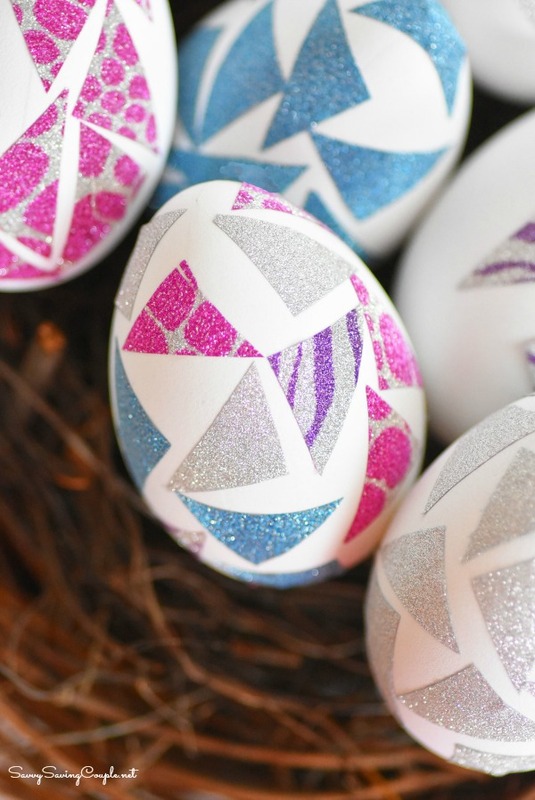 From colorful melted crayons to brightly painted aluminum foil, these twenty unique ways to decorate Easter Eggs will give you the brightest and best eggs at the Easter Egg hunt! 1. 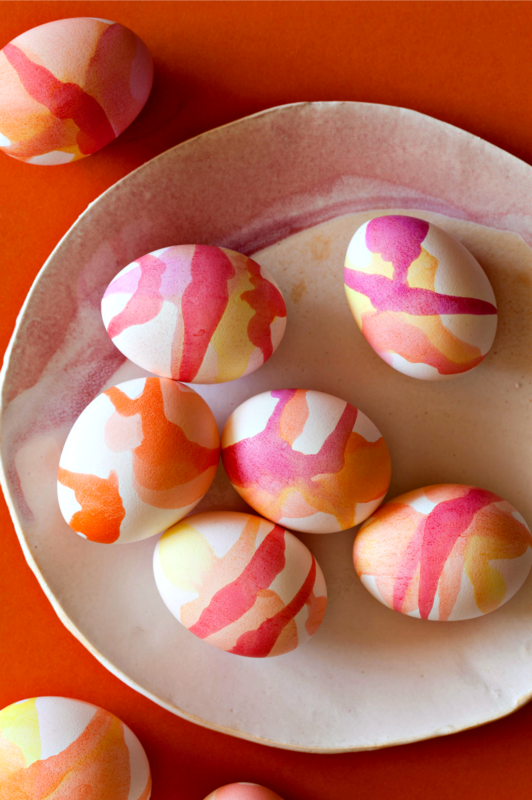 DIY Nail Polish Marbled Eggs – these brightly colored eggs from Hello Glow are full of gorgeous colors and are made with nothing more than nail polish! 2. 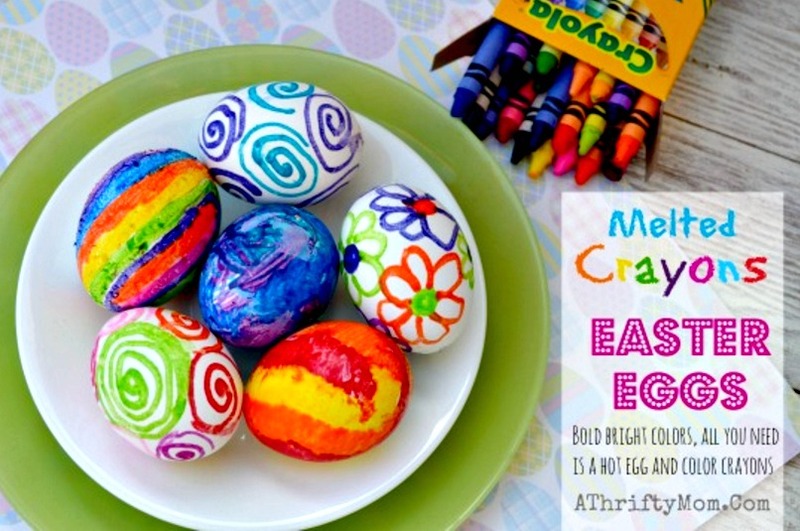 Melted Crayon Easter Eggs – why throw away those broken crayons when you can do what Sarah of A Thrifty Mom did – save them, melt them and make these cool Easter eggs! 3. 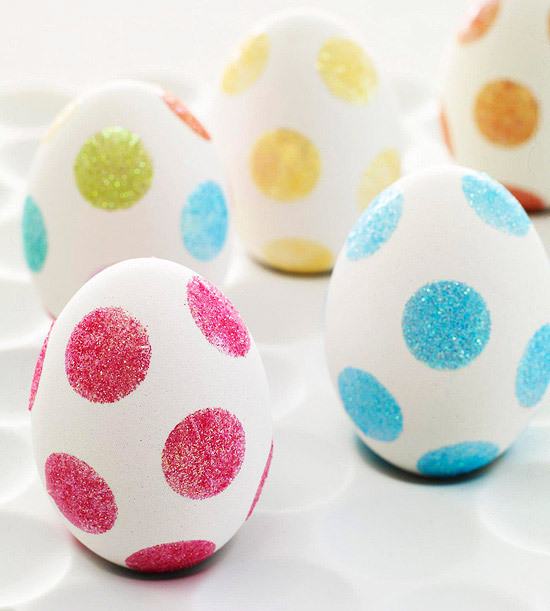 Washi Tape Eggs – add some bling to your Easter with these fun and sparkly Washi Tape eggs from Savvy Saving Couple! 4. 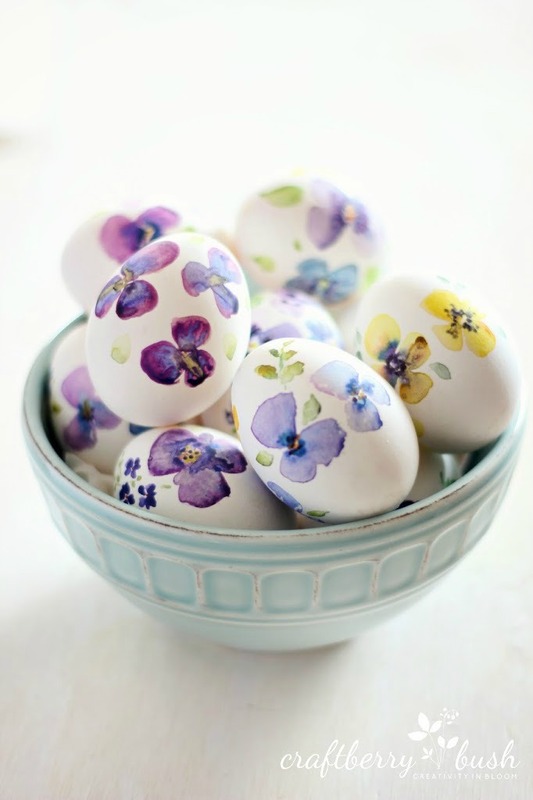 Watercolor Easter Eggs – Lucy of craftberrybush used watercolors to paint these delicate and lovely pansies on her eggs! 5. 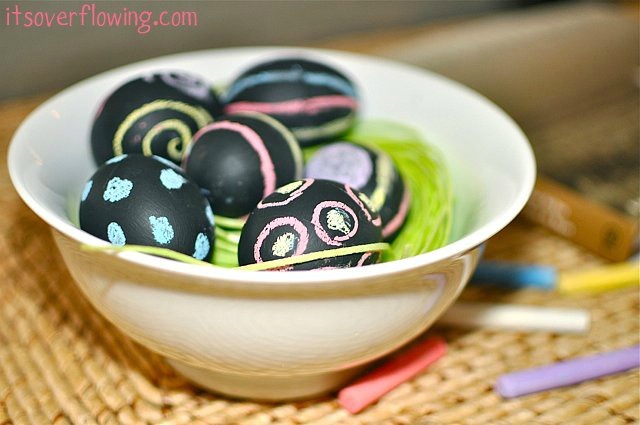 Chalkboard Paint Eggs – if you love chalkboard paint as much as I do, then you’ve got to check out these awesome eggs from It’s Overflowing! 6. 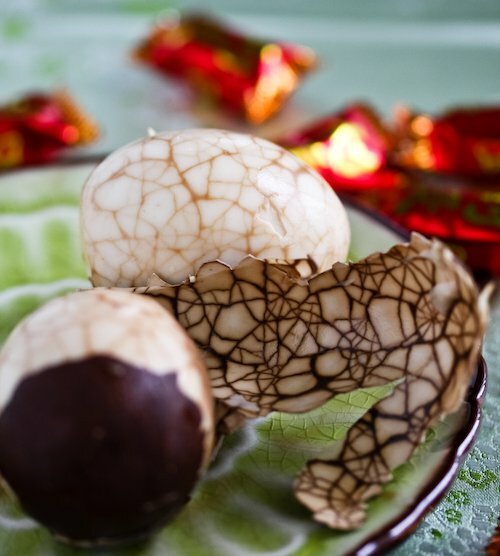 Chinese Marbled Eggs – these incredible-looking eggs were made by putting cracked eggs in a tea/soy mixture! How fun!  Get the step-by-step instructions at steamykitchen.com. 7. 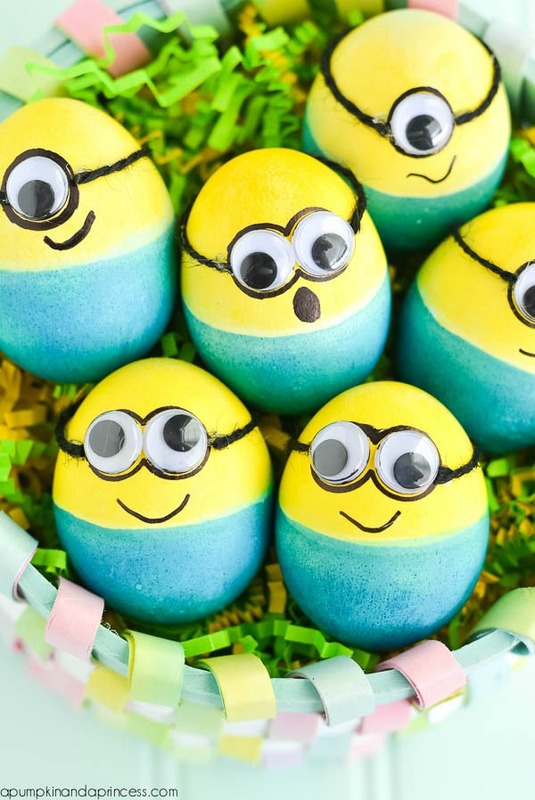 Dyed Minion Easter Eggs – if your munchkins are mad for Minions these adorable Easter eggs from A Pumpkin and A Princess will have them singing the Banana Song all day long! 8. 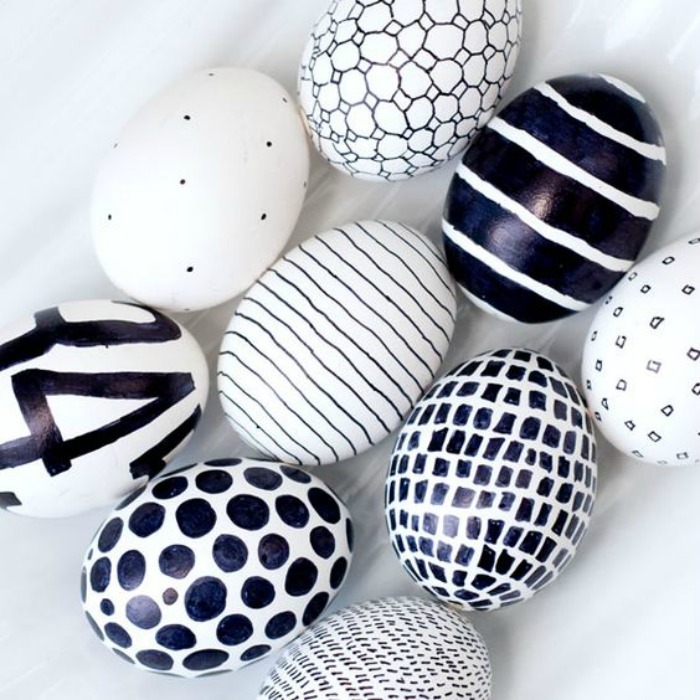 Black and White Easter Eggs – these cool eggs from Obviously Sweet were made with nothing more than a black Sharpie marker. It doesn’t get much easier than that! 9. 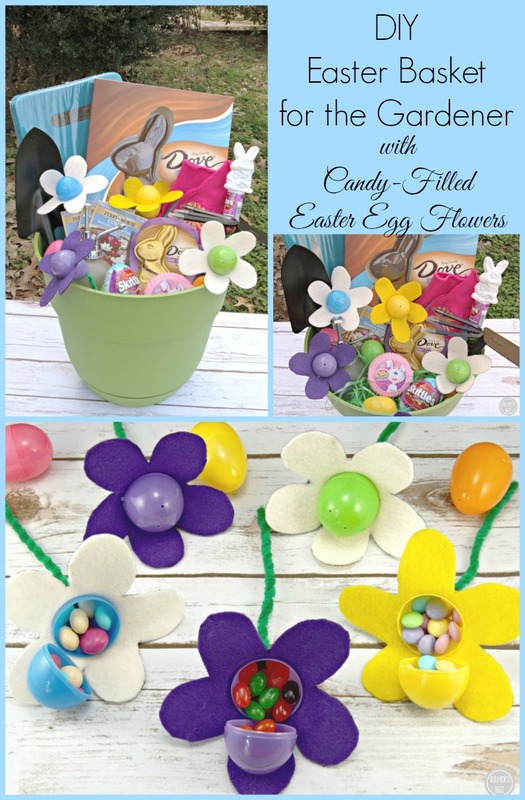 Dot Sticker Flower Eggs – so that’s what I can do with all of those leftover stickers! Find the instructions at bhg.com. 10. 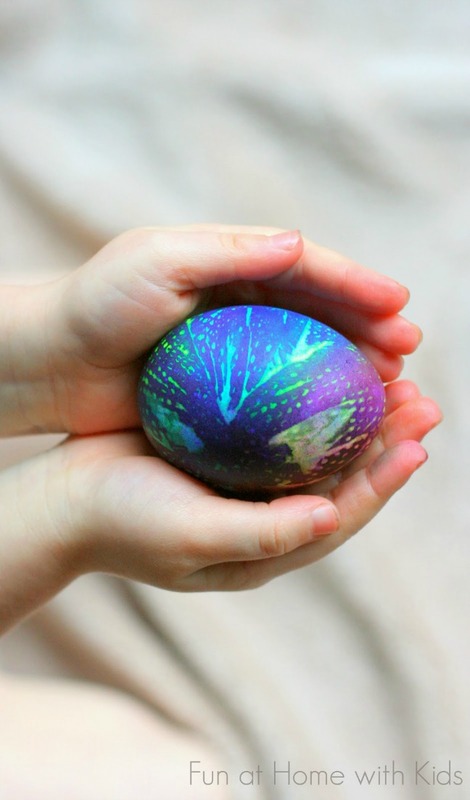 Tie Dyed Easter Eggs – these psychedelic-looking eggs from Fun at Home with Kids are almost too cool for words! 11. 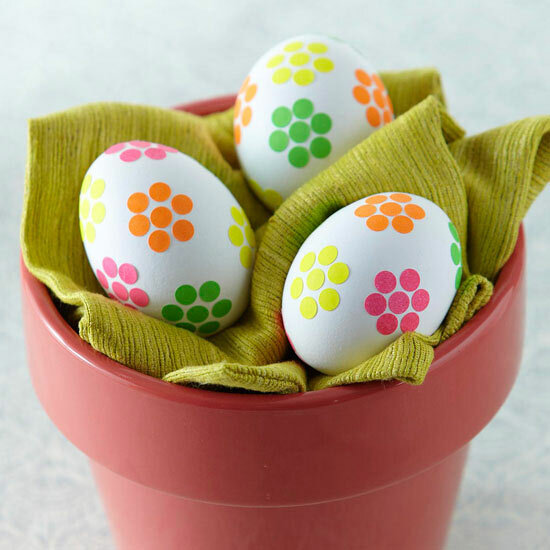 Watercolor Eggs – another creative way to use watercolors and paint brushes from SpoonForkBacon. Get ready for a day of fun! 12. 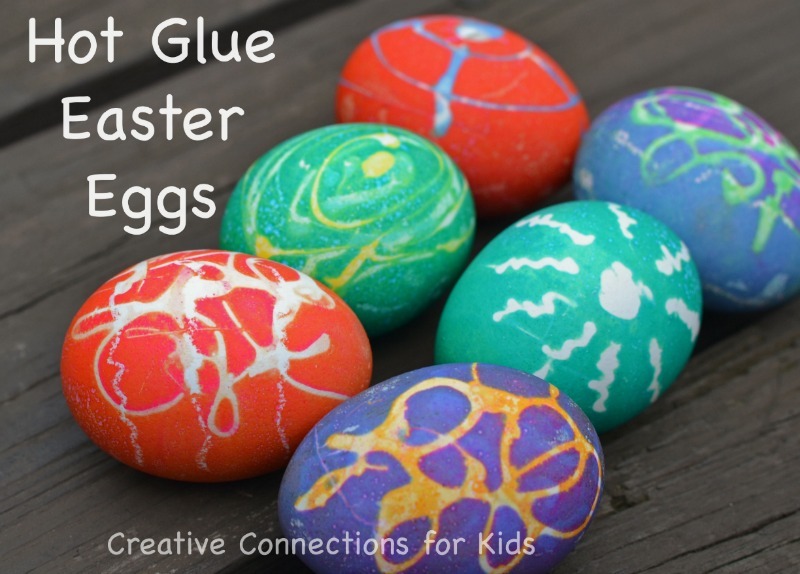 Hot Glue Easter Eggs – Creative Connection for Kids came up with a very unique way to decorate their eggs – use hot glue! 13. 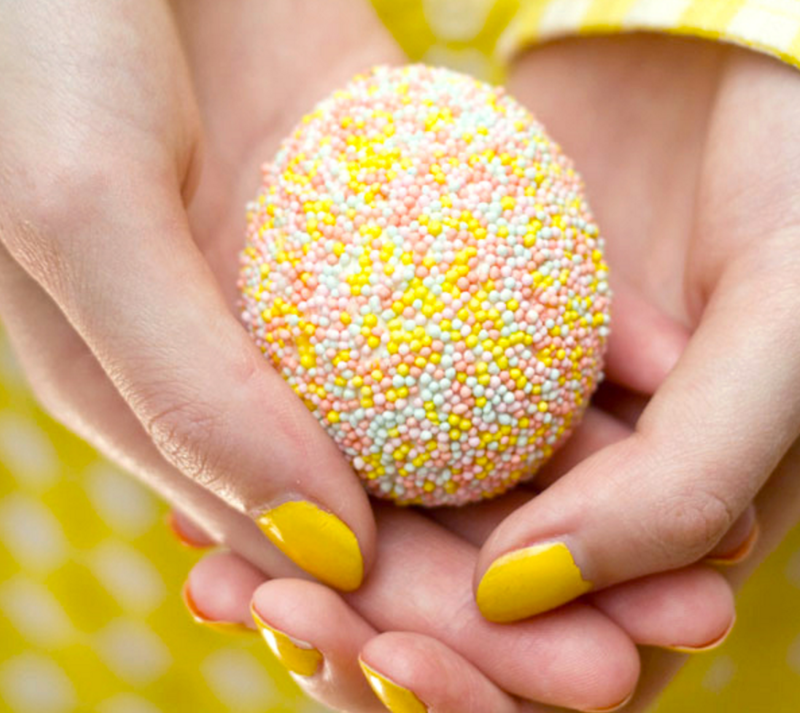 Sprinkle Easter Eggs – these Easter eggs from StudioDIY look good enough to eat (but don’t). 14. 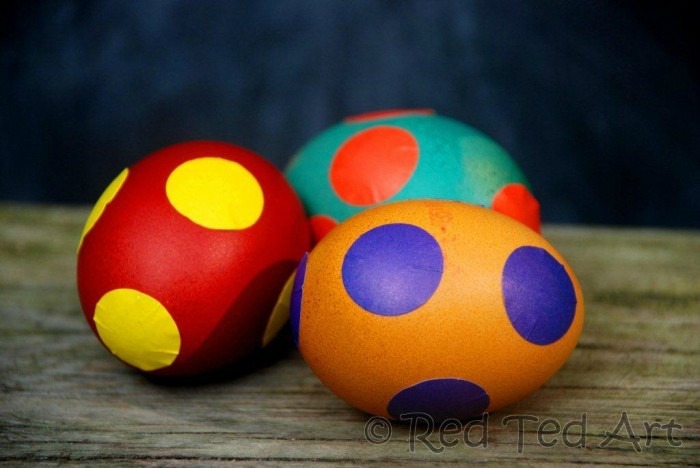 Easy Spotty Eggs – more sticker ideas from Red Ted Art! 15. 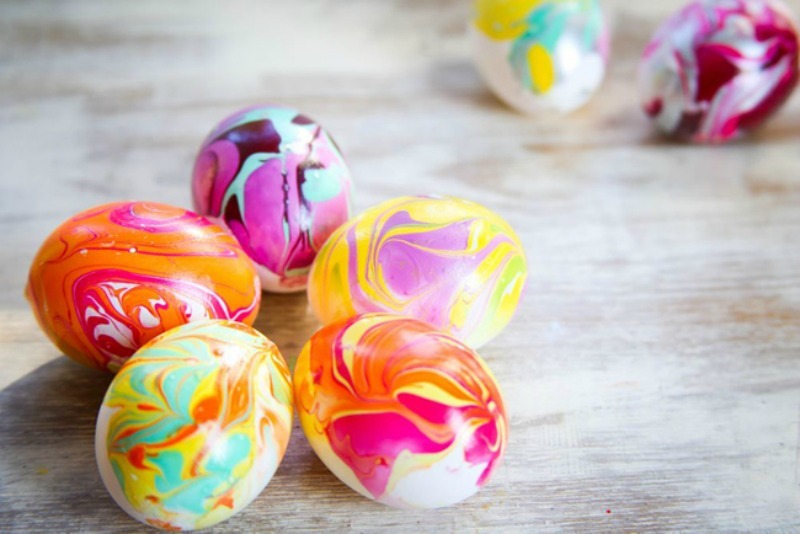 Volcano Egg Dyeing – kids will love the process and the result of these super cool Easter Eggs from Toddler Approved! What a blast! 17. 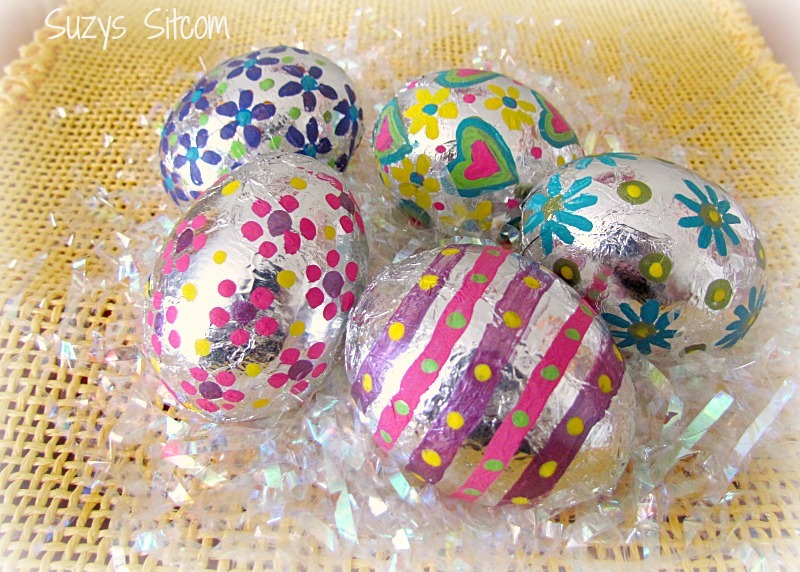 Foil Covered Easter Eggs – to get this awesome look from Suzy’s Sitcom, all you need are eggs, foil and acrylic paints! 18. Papier-Mâché Easter Eggs – these beautiful eggs from Fireflies and Mudpies are so much fun to make! 19. 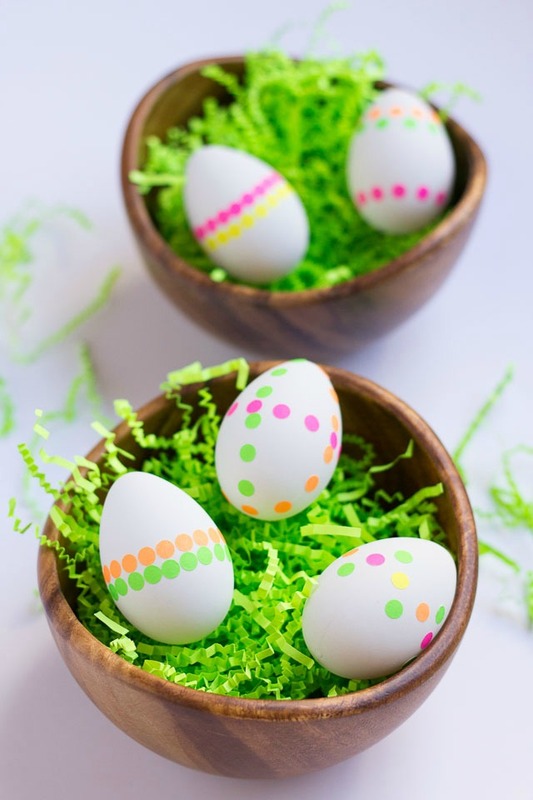 Neon Polka Dot Easter Eggs – loving these bright, colorful, and fun Easter Eggs from Design Improvised! 20. 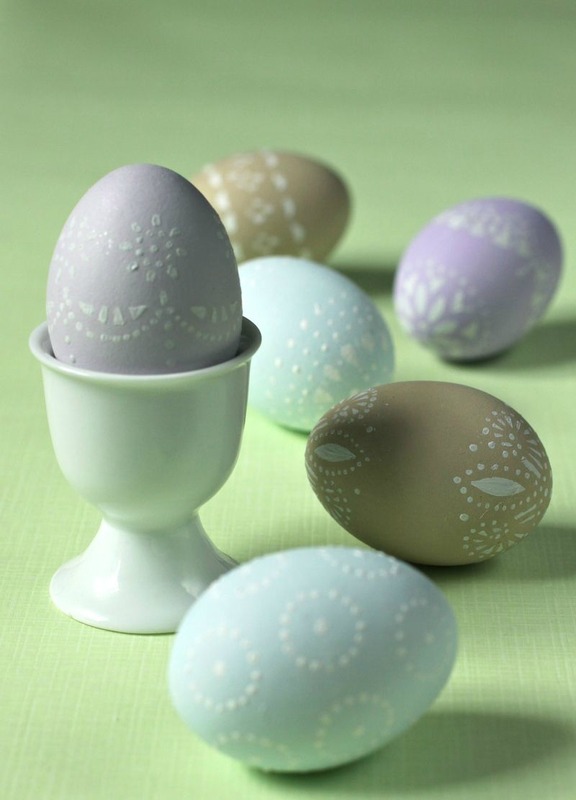 Doily Stenciled Eggs – Urban Comfort used pieces of doilies as stencils to make these eggs. So unique! 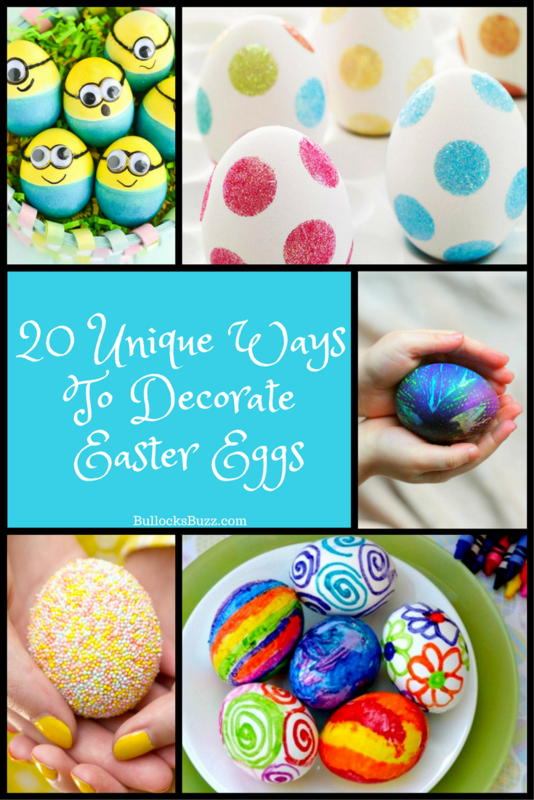 Which one of these twenty unique ways to decorate Easter eggs is your favorite? Love this post? 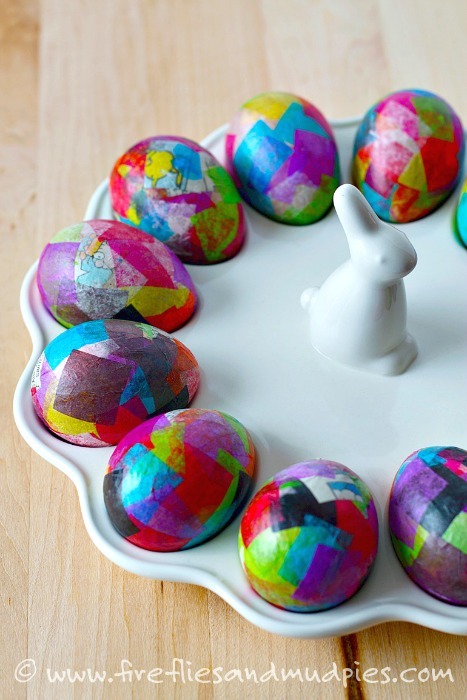 Here are some more creative Easter crafts and recipes I think you’ll love! Oh I can hardly wait to decorate eggs with the grandchildren next week. We always have so much fun and the ideas you have listed could be incorporated into our day of pre-easter fun. I can hardly wait to try some of these, thanks for posting. I love the ribbons and beads eggs! 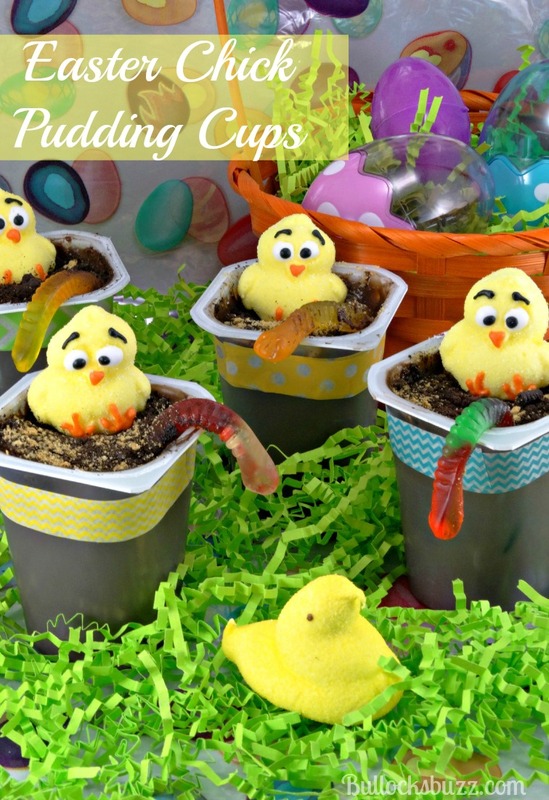 So many cool ideas for Easter wow I need to try some this weekend bookmarked thanks!!! 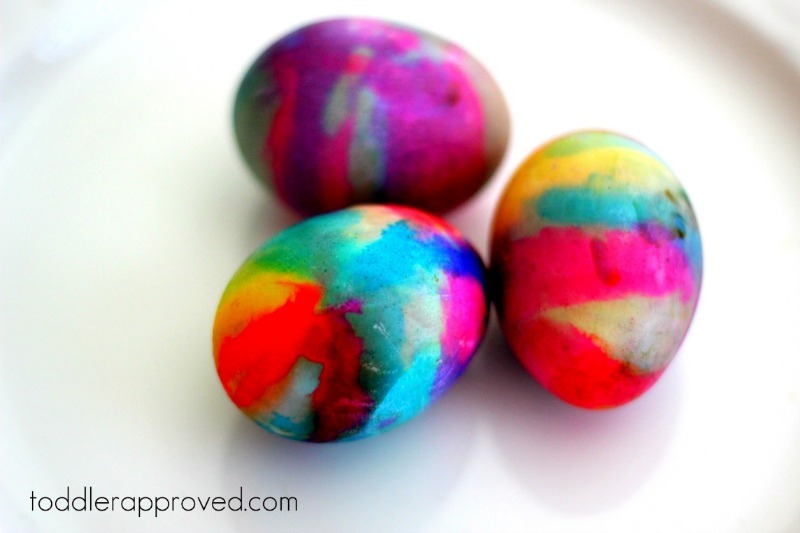 We used Paaz (old school) to dye the eggs, and then I decorated the them using a variety of Sharpies®. They came out quite beautiful. I’m going to bookmark it for next year! I’d love to see some pictures!! That sounds like a great idea! I’d love to see some pictures!